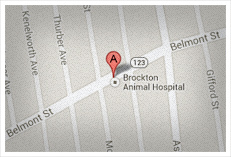 Brockton Animal Hospital provides an array of wellness, sick and urgent care services for dogs, cats, and other companion animals from birth through geriatric years. Recent research indicates cats’ and dogs’ teeth are highly sensitive and transmit pain more readily than humans’ teeth, emphasizing the need for comprehensive dental care. Responding to increased demand for less invasive treatment options we expanded our capabilities in integrative medical therapies. Our approach reduces dependence on many traditional medications, eliminating many concerns over side effects. 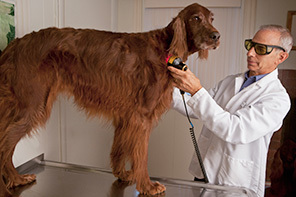 The following treatments are used independently or in conjunction with traditional medicine. 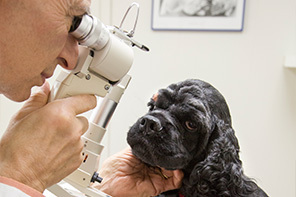 Whether a pet is suffering from a temporary condition, chronic disease or terminal illness, our doctors and staff support the pet to achieve as active and comfortable life as possible. 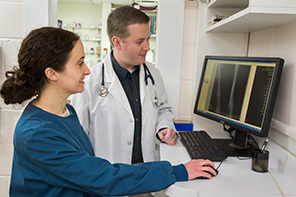 palliative care for chronic conditions combines traditional and alternative medical modalities to minimize symptoms and improve the quality of life. Supportive, palliative and hospice care include a broad based effort with both the pets and their families to assure that the maximal comfort and quality of life is achieved.